What's Your Favorite Hunting App? Thanks to my 9th grade World Civilization teacher, I learned the 6 P's: Prior Proper Planning Prevents Poor Performance. I've been sampling hunting apps for usability, accuracy and reliability. Which is your favorite hunting app? 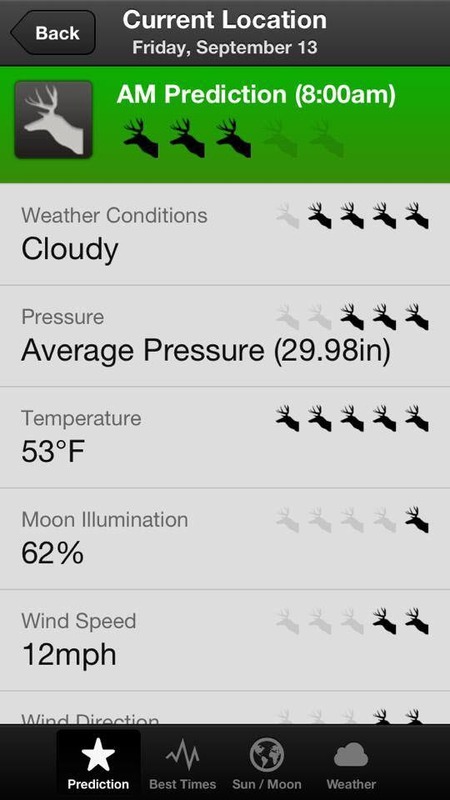 This free app is called "Hunt Predictor" and can be used for deer, turkey and waterfowl hunts with a 7-day outlook. Using the GPS feature, I've landmarked multiple tree stand locations and can view them with the following map types: terrain, road map, hybrid, satellite. It ranks weather conditions, pressure, temperature, moon illumination, wind speed and direction, the time of year (whether it's peak time or not), and separates the information easily if you are a morning sitter or an evening go-getter. I haven't verified it's accuracy during a season, but so far it doesn't clunky and it has yet to crash - all good things considering it's a free app. One other bonus: it ranks each category using deer heads so the more deer heads for a particular category, supposedly the better your chances of scoping a buck. 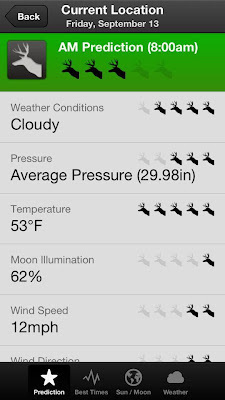 If you base your hunts on weather alone, you can look at how many deer heads (1-5) were given for each of the following categories: pressure, weather, temperature. If the moon is your tactical friend, it's also ranked with deer heads (again, 1-5) and gives you a percentage of moon illumination, say 52% one day and 62% the next day. For those of you who don't want to get all fancy with percentages and numbers, just look at the line graph tab draws a line on a graph telling you camo-up or go back to bed. Only part I wish was different ( I say this without having verified the accuracy of the app during a hunting season) is better usability when you are switching from one view to the next. I've gotten a little lost inside the app trying to navigate from one particular screen to the next, for example, switching from seeing my tree stand terrain map to the weather predictions for that particular day. Do you have a favorite hunting app? Give me a holler on Facebook and let me know why it's your fave. 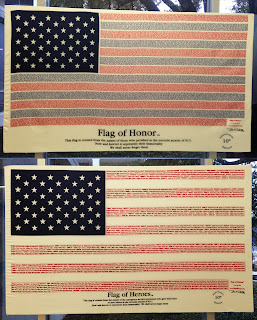 The Flag of Honor was created from the names (names align to form the blue and red stripes) of those who perished in the terrorist attacks of 9/11. 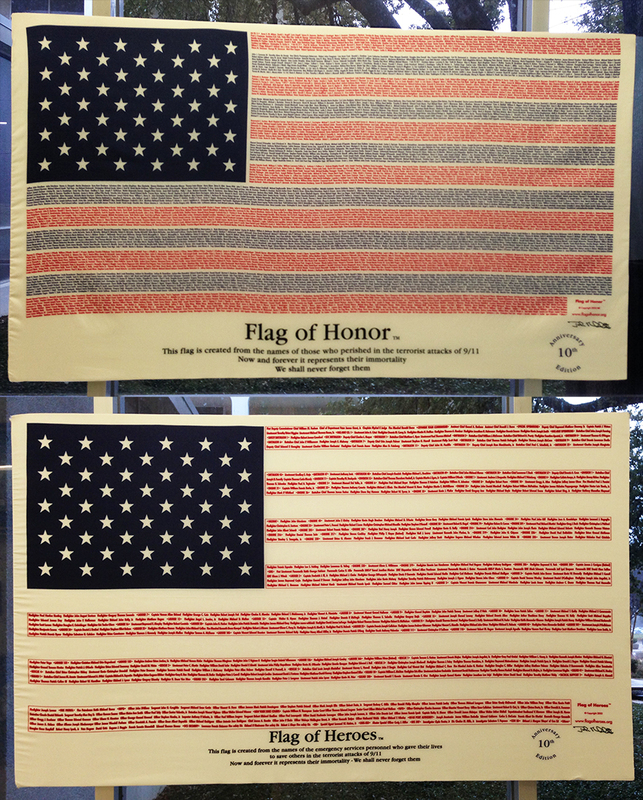 The Flag of heroes is created from the names of the emergency personnel who gave their lives to save others in the terrorist attacks of 9/11. Now and forever it represents their immortality. We shall never forget them. The last stanza of The Star Spangled Banner is a question. We must call on the carpet the 'settlers' who have no desire to become one with our nation, only overthrow it by pocketing themselves in unsociable and disingenuous clusters in our communities. Am I the only one who feels mocked by their arrival and our tolerance to let them prosper? It is not covert, it is not clandestine, it is transparent if you remove the politically-correct wool from over your eyes. Like an 'undetected' pancreatic cancer growing and infecting, these temporarily-restrained guerrilla radicals will provide a fatal outcome for the beholder, the United States of America. We must fight to defend and protect our freedoms every day in order to sustain our ways of life. Pull the wool. Open your eyes. Possess no tolerance. Have a comment? Share your thoughts with Nicole on Facebook. If you take care of your hunting gear, it will take care of you. This one here is a gem... the Jewel from Mathews. And don't underestimate the pink arrows. A portion of every dozen Pink Arrow Project arrows sold goes directly to the National Breast Cancer Foundation through the Pink Arrow Project. 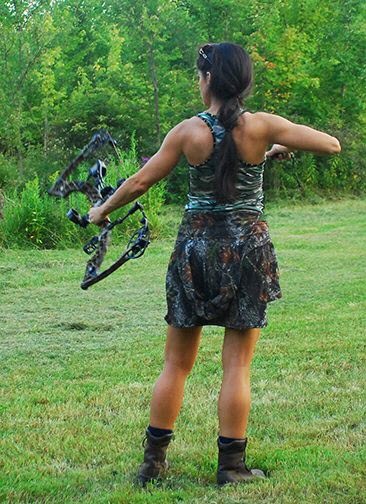 Comes in a 30/50 spine (.500") and a 20/40 spine (.600") to fit lighter poundage bows. A great arrow supporting for a fantastic cause. Are you a fan of Mathews? Tell me which you're using and why on Facebook. 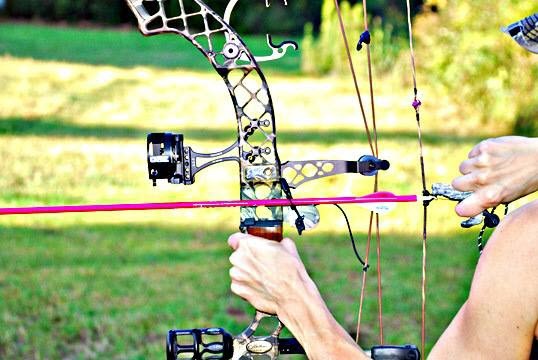 You're Darn Right "I Shoot Mathews"
Nicole McClain Featured on Mathews "I Shoot Mathews"
Thank you Mathews, Inc., a Christian-based company, and the largest bow manufacturer in the world. I love shooting the new Jewel. 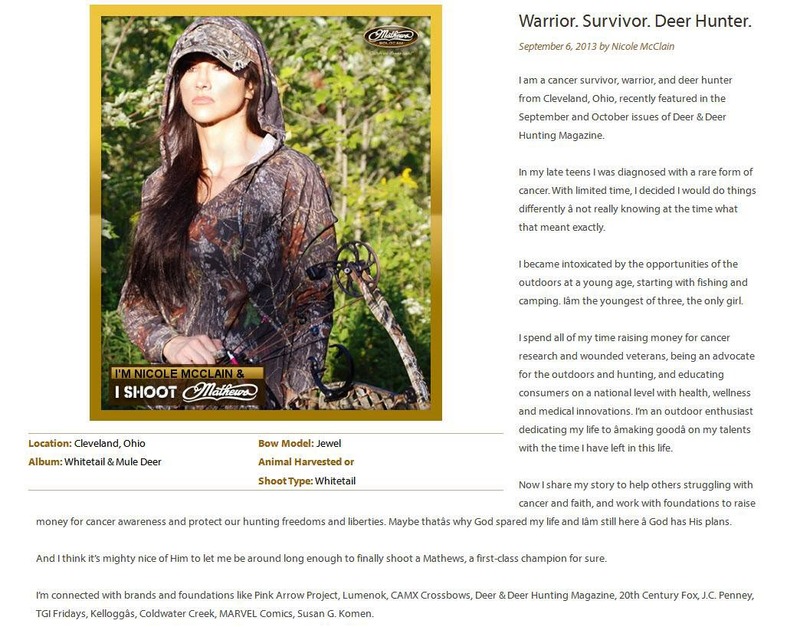 "I am a cancer survivor, warrior, and deer hunter from Cleveland, Ohio, recently featured in the September and October issues of Deer & Deer Hunting Magazine. In my late teens I was diagnosed with a rare form of cancer. With limited time, I decided I would do things differently, not really knowing at the time what that meant exactly. I became intoxicated by the opportunities of the outdoors at a young age, starting with fishing and camping. I’m the youngest of three, the only girl. 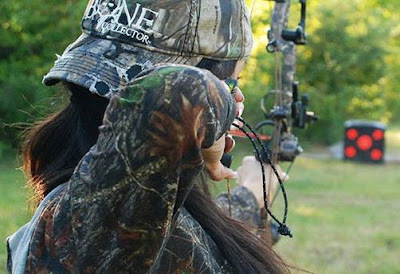 I spend all of my time raising money for cancer research and wounded veterans, being an advocate for the outdoors and hunting, and educating consumers on a national level with health, wellness and medical innovations. I’m an outdoor enthusiast dedicating my life to making good on my talents with the time I have left in this life. 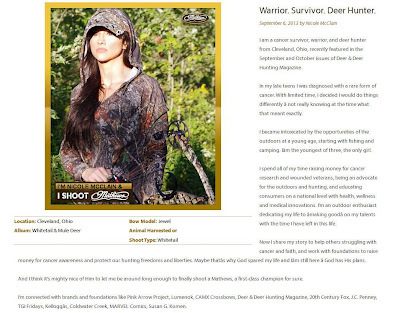 Now I share my story to help others struggling with cancer and faith, and work with foundations to raise money for cancer awareness and protect our hunting freedoms and liberties. Maybe that’s why God spared my life and I’m still here - God has His plans. And I think it’s mighty nice of Him to let me be around long enough to finally shoot a Mathews, a first-class champion for sure." 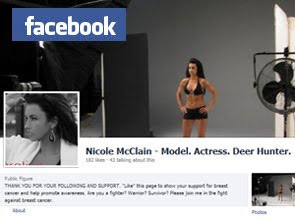 Nicole is connected with brands and foundations like Pink Arrow Project, Lumenok, CAMX Crossbows, Deer & Deer Hunting Magazine, 20th Century Fox, J.C. Penney, TGI Fridays, Kellogg’s, Coldwater Creek, MARVEL Comics, Susan G. Komen. Connect with Nicole on Facebook or follow her on Twitter for the latest tips on health, wellness and medical innovations. The new appendage diverging from my axial trunk -- the Jewel, compliments of Mathews. Many thanks. Love this first-class champion. Kudos to Camo Trading for this comfy, true-to-size camo hoodie. I highly recommend ordering one of these for anytime-wear at the range, lodge or at home. 'Train heavier, hunt lighter.' During 'sight-in season,' I recommend increasing the draw weight of your bow. For example, master shooting on-target at 65 lbs. in the off-season. About two weeks before opening day, lower your draw weight to 60 lbs. and hit the range again to confirm accuracy at the lower weight. It will not only help you to draw smoothly and execute with better form and precision, but make it easier to draw when that beauty buck that crosses your hairs. Want more pre-season hunting tips? Connect with Nicole on Facebook. 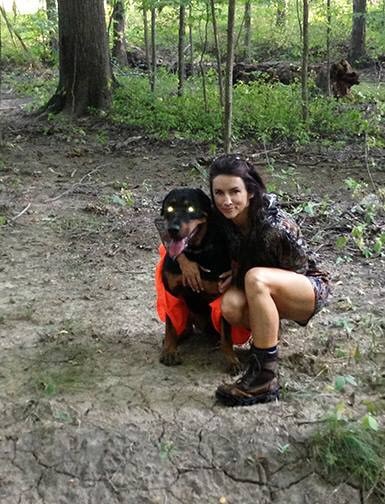 Nicole is wearing a camo hoodie and shorts from Camo Trading. This camo hoodie, from Camo Trading, is lightweight and fits true-to-size. Mog sports his usual safety orange when we're setting treestands close to the start of hunting season. We talk shotguns, muzzleloaders, crazy loon rabbit hunting, Duck Dynasty, possum attacks, all-things-bows, deer heads ... and I flash some of my gear in my on-camera interview with Gun Guy Radio. Artist model for Dave Nestler in "Bored of Education," Pickle Press (Kerry Connelly in "Salem, AZ"), MARVEL Comics (Tarantula), TV Commercial Actress for Grange and Elite Insurance Agency, TV Interview Host for Rock Me TV, Print and Spokesmodel for TGIFridays, 20th Century Fox, Kellogg's, Ujena Fitness Model, MBFitness Model, Merona Jewelry, xhilaration, Breast and Cervical Cancer Foundation, and more. Email me. I'd love to hear from you. Request to be added to Nicole's personal mailing list for updates, order some prints, or find out where I'll be next. Family is #1 --- Runners Up Include: Modeling, photography, photoshoots, hunting, art, painting murals, drawing, backpacking, camping, rock climbing, working out, boxing, martial arts, shootfighting, ceramics, dancing, eating healthy, playing in the snow, buying new hunting gear, playing the piano, computer nerd knowledge, drinking moscato, reading, walking my monster dogs, laughing, listening to a VARIETY of music, and working on projects around my house. Nicole McClain in "Salem, AZ"
Nicole McClain 2012. Awesome Inc. theme. Powered by Blogger.